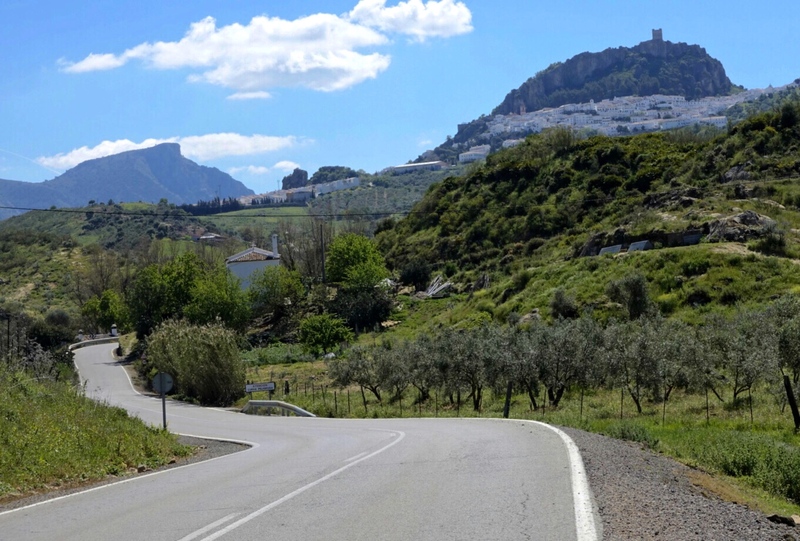 Finished cycling Spain with 375 miles and 29,700′ of gain. I’m now on the overnight ferry to Sardinia for 8 more riding days. This day started with an amazing cycling road. For over 15 miles it was perfect pavement, and I saw a total of zero cars. The rest of the day was very good riding, but this section would be hard to beat. The road approaching Zuhara. 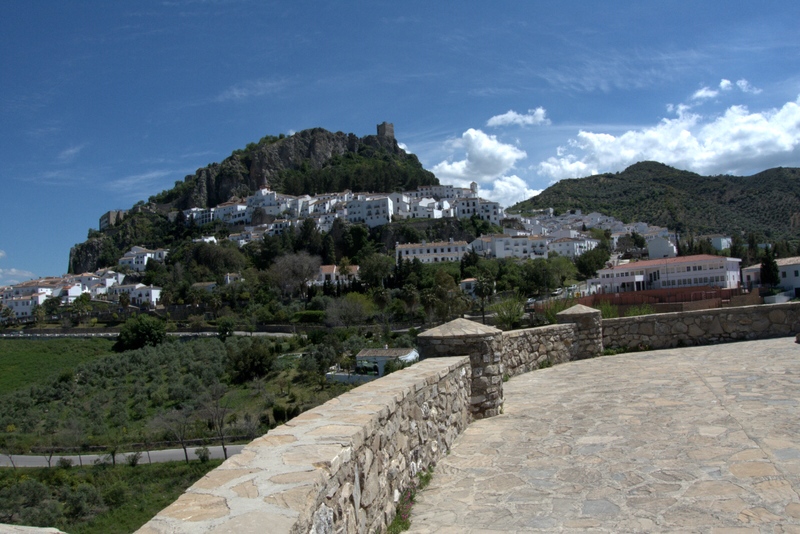 And once again, a brutally steep final climb up to the village. 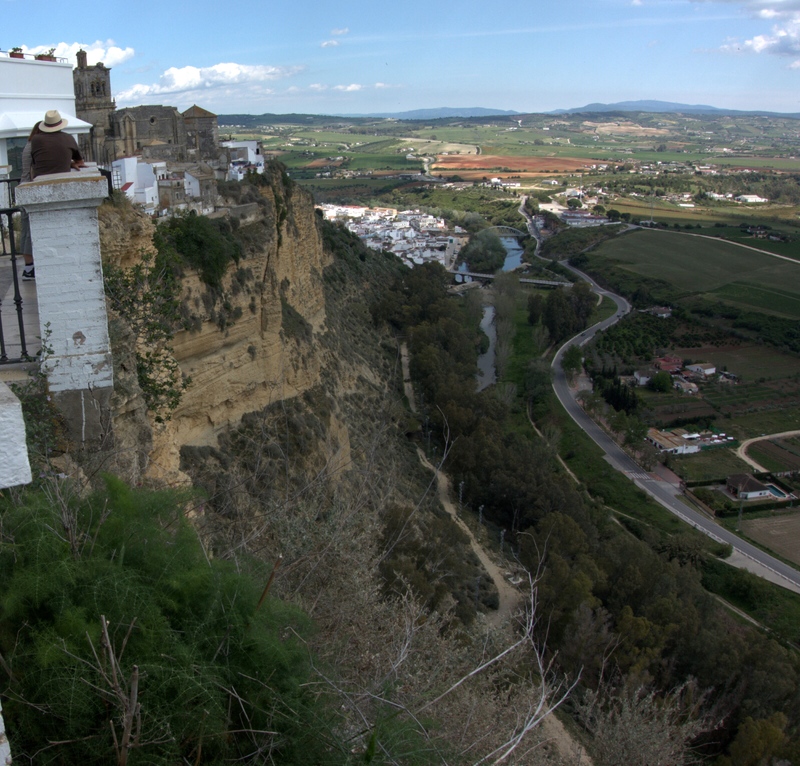 Yes, they do put these hilltop villages in fact on the top of hills. 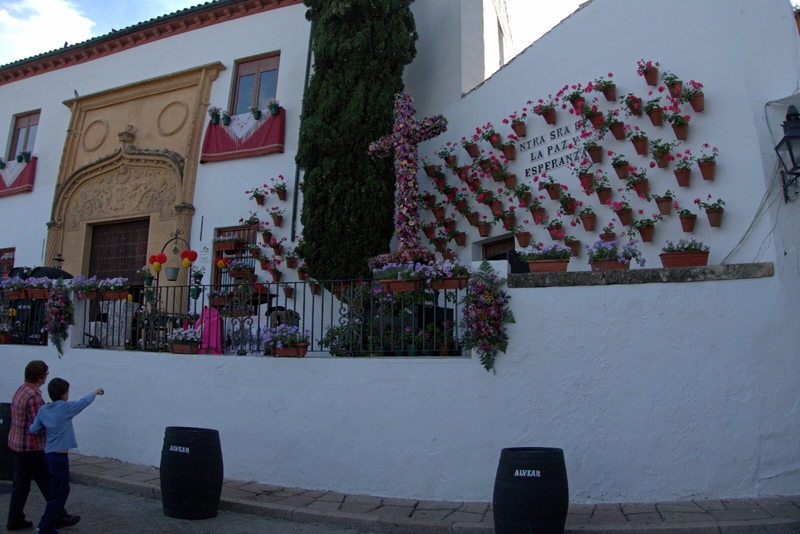 The front of my hotel in Osuna. 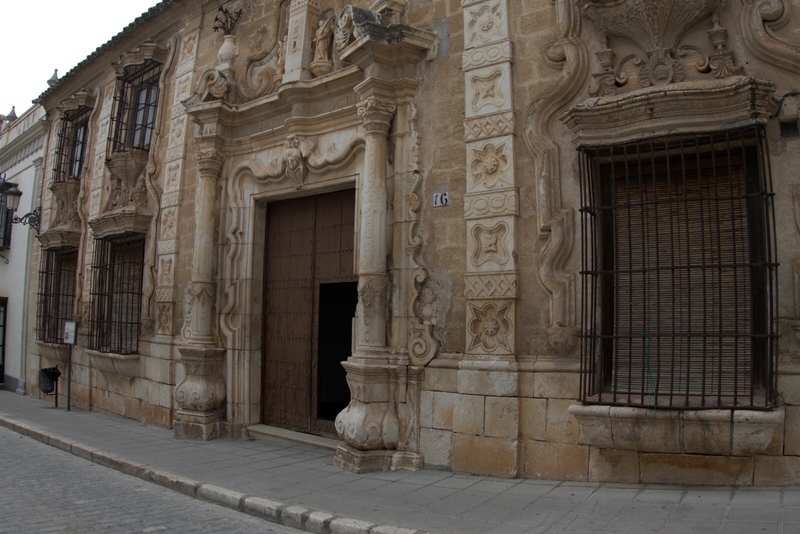 Osuna is a town filled with old palaces (my hotel was an 18th century palace, which was beautiful, but had 18th century plumbing), churches, and convents. 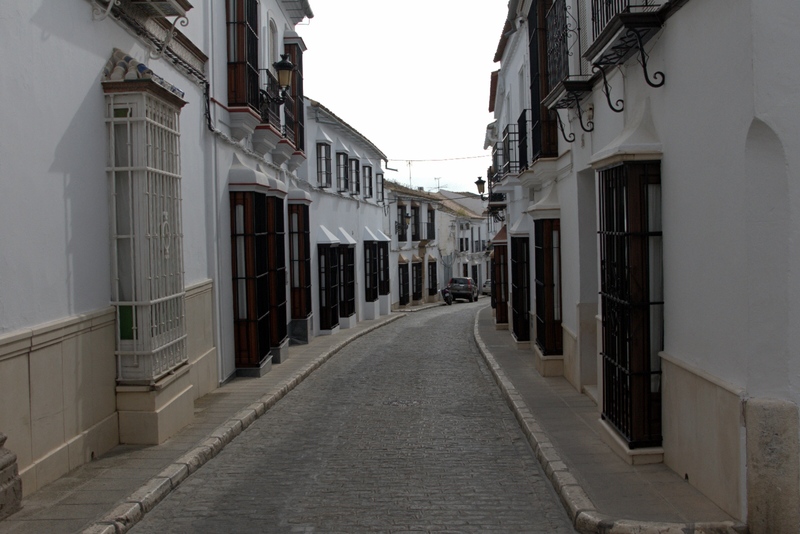 Lots of streets had names that included the words Jesus, Christo, Dios, etc. Osuna’s old homes have an interesting pop-out window detail. 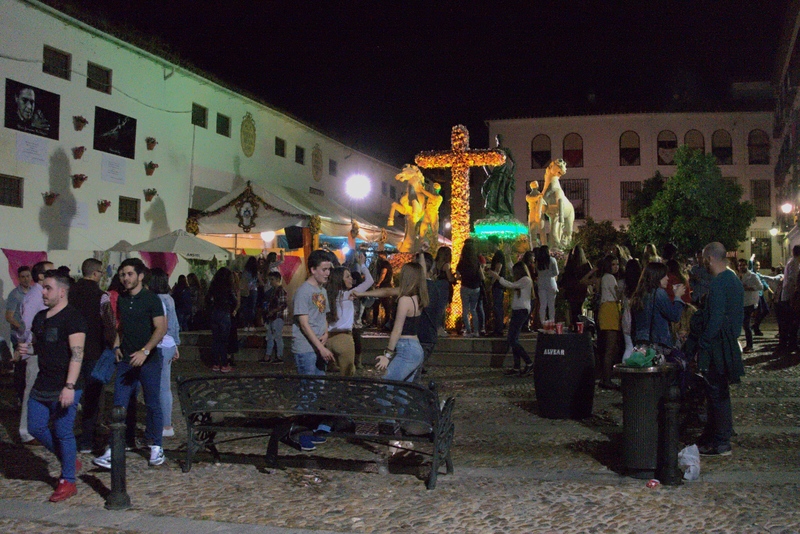 The Fiesta started in Córdoba with an interesting mix of activities, which mostly included decorated church plazas, big flower-covered crosses, and large beer stands. An odd mix of religion and serious partying. 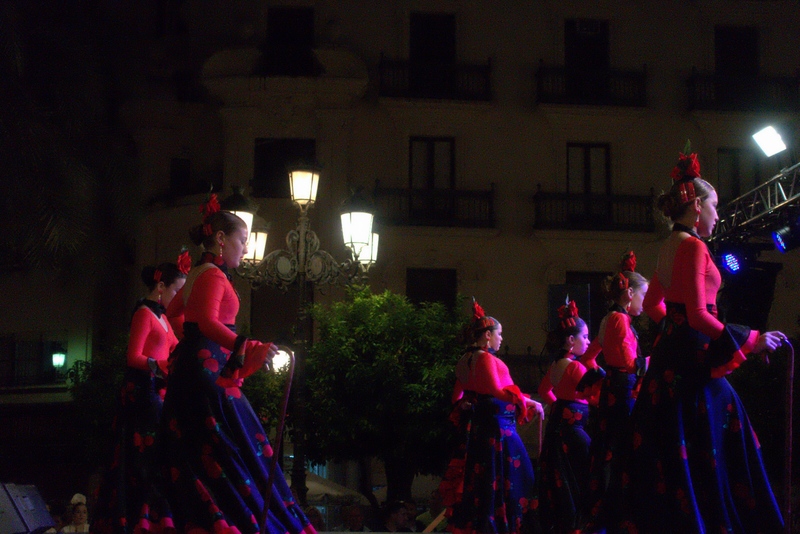 And true to the Spanish tradition, it was loud and went long into the morning hours. ~ by rjmang on May 2, 2016. Looks like great cycling weather too. 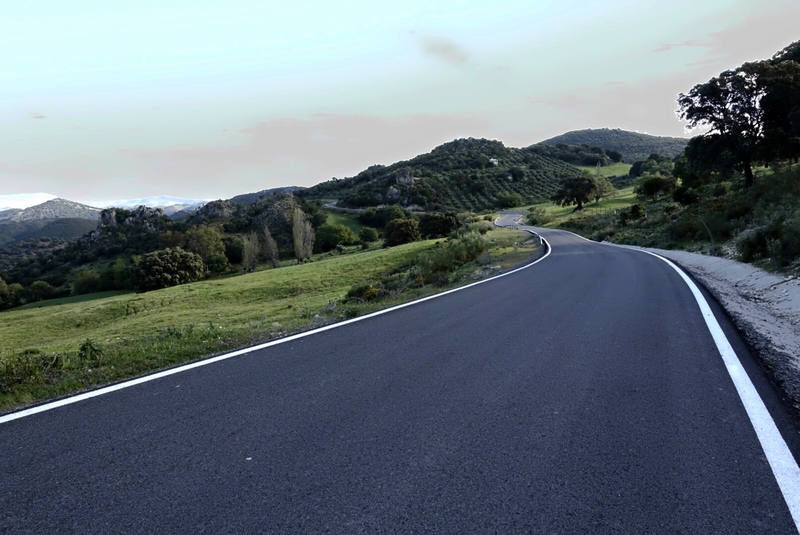 Hope Sardinia is as scenic and the roads as a smooth.